Buying a new car can be exciting, from the new car smell to checking out the up-to-date technology. But the number of options can be overwhelming. You also need to be careful and make sure you're making a wise investment. Here at Hunter Nissan, we want to help you find the car that best fits your lifestyle. Keep reading to learn the do's and don'ts of buying a new car. 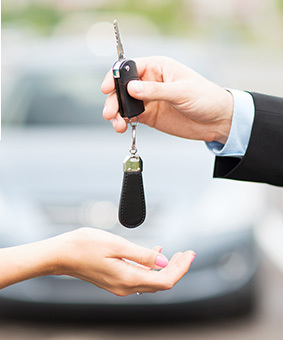 Before looking at cars, you should decide what type of vehicle best suits your lifestyle. Do you want a convertible, minivan, sedan, coupe, compact car, or other? Make a list of the amenities and features you want. Then, research models and makes that offer everything you're looking for. 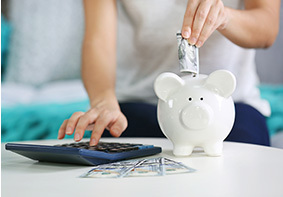 The biggest challenge is setting your budget. You may discover the perfect car, but finding that model at an affordable price can be difficult. When purchasing a new vehicle, it's best to put about 20 percent down, limit the term to no more than 60 months and keep your monthly payment below 10 percent of your income. Be sure to consider the cost of maintenance when deciding if you can afford a car as some cars' maintenance costs more than others. You don't want to end up with negative equity. The balance of your old loan may be consolidated into the new car's loan amount, forcing you to pay the debt of two cars in one big, loan. Research what your car is worth before you trade it. Take your time with the test drive to make sure you enjoy the model you're getting and not just the feeling of a new car. Look around the vehicle, play with the features and ask questions. Check that the car has enough space. Interested in purchasing or leasing a new vehicle? Come visit us at Hunter Nissan at 1340 Spartanburg Highway, Hendersonville, NC 28792. As always, we look forward to serving our customers from Hendersonville, NC, and throughout Asheville, Waynesville and Spartanburg.